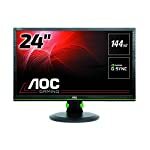 The BenQ RL2455HM is a 24″ basic monitor from BenQ with a nod towards gaming fans. Whilst it doesn’t have the latest gamer friendly features it does enough to ensure gamers on a budget will be able to get into the action without getting overly frustrated at the image quality. 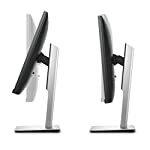 It is fairly similar to the 24″ GL2450HM also from BenQ. If you are wondering what’s the difference between the RL2455HM and GL2450HM models then you’ll need a careful look at the specs. As far as I can see the former has an additional HDMI port and a faster rated response time of 1ms. This makes the RL2455HM slightly better that the GL2450HM, so if you are caught between the two and don’t mind the higher price then you should probably go for this one. Are you going to see a big difference between either? Probably not, but I would be interested to hear from anyone who has experienced both and can comment from real world experience rather than a comparison of the on paper specification. The RL2455HM is a fairly ordinary looking screen with a robust thick black bezel surrounding the monitor. I don’t think anyone will be awarding it a prize for its looks but that’s OK, it won’t look out of place in an office type room. According to the spec sheet the adjustability is limited, no chance to raise or lower the height so if the default isn’t for you you’ll be popping it on a pile of books. But do remember this isn’t a premium screen. What you do get is a reasonable array of connections, VGA and DVI are included along with two HDMI ports which is handy if you also have a PS4 or XBox One to hook up. Models in this range often only come with one HDMI port so this is a handy extra if needed. 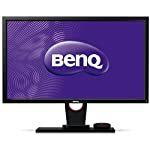 Whilst this BenQ doesn’t feature super fast refresh rates, it’s a 60hz screen, nor adaptive sync technology, its fast 1ms response times still make it a good candidate for a gaming monitor. BenQ have also included a number of their own features to help out gamers such as an RTS mode, flicker free technology and Black eQualiser. As a 1080p HD screen with a max refresh rate of 60hz you should find it a good match for a modest gaming rig. Even the mid range modern graphics cards should have no problem outputting 60 frames per second at 1080p with high graphics settings. If you have more of an enthusiast rig then it might make more sense to invest in a more premium screen but for the rest of us the BenQ RL2455HM is a fair choice. We give the BenQ RL2455HM a 5 out of 5 rating. Want to know what existing owners of the monitor think? You can read real user reviews here. 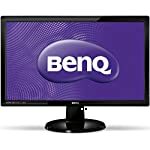 Should I buy the BenQ RL2455HM? The RL2455HM is a reasonably priced 24" monitor, most notable for having 2 HDMI ports. 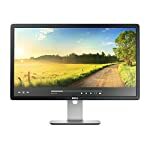 If you are looking for something that doesn't cost a fortune and have a need for both ports then this is a monitor to look closer at. If you are having some doubts about this purchase then why not read some real owner reviews and see what other buyers think.